Until about two decades ago, poet Mutsuo Takahashi considered the city of Zushi, Kanagawa Prefecture, virgin territory. Only 50 km south of Tokyo, Zushi is a rare natural treasure in the concrete-covered region. Located at the top of the Miura Peninsula, the city faces the sea in the west and is surrounded by mountains and forests on three sides. Takahashi, 66, moved to Zushi in 1986 from his longtime home in Tokyo. 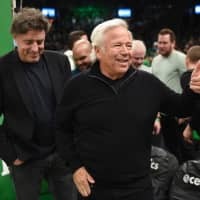 The move brought about a tremendous change in his writing, he says. Inspired by the abundant nature surrounding him, Takahashi began to write more about trees and plants, and relationships between nature and human beings. “The amount of work I produce has increased and the quality has deepened,” he says. To the dismay and indignation of Takahashi and many other Zushi residents, the city is facing a U.S. military construction project in its largest forest. The project, they say, comes despite a promise from the government a decade ago not to build any more facilities there. 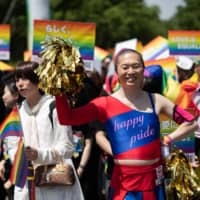 In July of last year, Tokyo and Washington agreed to build another 800 housing units for the U.S. military in the Ikego forest area, which extends between Zushi and Yokohama, in exchange for the return of idle land at four sites in Yokohama currently overseen by the U.S. forces in Japan. Half of the 800 units, which are to be built in the form of five 20-story buildings, are to replace some 400 units in the Negishi military residential area to be returned to Yokohama. The remaining 400 are “the minimum required” to satisfy a long-running demand by the U.S. military to alleviate its housing shortage, according to the Defense Facilities Administration Agency, which oversees the administration and maintenance of U.S. bases in Japan. 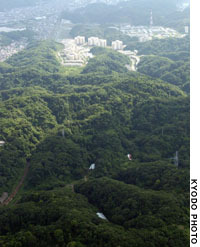 The 290-hectare Ikego area is a large tract of near-virgin forest, 85 percent of which sits in Zushi. The area was requisitioned by the Imperial Japanese Navy in 1938 to build ammunition storage facilities and was taken over by the U.S. military at the end of World War II. Although part of the area has been used as an ammunition depot, much of the forest has not been touched for more than 60 years. Although Zushi residents have long been barred access, the forest, which makes up 15 percent of the municipality, means a great deal to many people. The municipal government and residents have worked for decades to get the land back with a plan to turn it into a nature preserve. “It is now a very precious green space as more and more greenery is being lost to development,” said Naoko Sugiura, a 58-year-old housewife who has lived in Zushi since her childhood. A mother of two sons and a daughter, Sugiura said she wants to save the Ikego forest for her children. 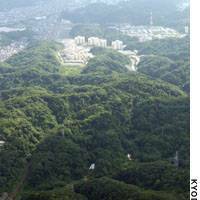 Back in the 1980s and early 1990s, the city of Zushi and its people similarly resisted a government plan to build a U.S. military housing complex in the Ikego forest. The national government told Zushi in 1983 it planned to build about 1,000 housing units in the Zushi portion for U.S. Navy personnel stationed at the Yokosuka naval base. While then Zushi Mayor Torayoshi Miyoshi accepted the plan, angry residents forced Miyoshi into resigning. Zushi has since only elected mayors who were opposed to the project. Even so, as the construction was forced through, the Zushi Municipal Government finally accepted 854 housing units in 1994, after winning a promise from the central government to Zushi and Kanagawa Prefecture that it would not build any more facilities in the Ikego area. The housing complex was build by the Japanese government at a cost of 86 billion yen under the Japan-U.S. Status of Forces Agreement. Its construction began in 1987 and was completed in 1998. This time around, the national government says it plans to build the additional housing units in the 36-hectare Yokohama part of Ikego. The government insists that because Yokohama was not a party to the 1994 agreement, the project does not breach the earlier promise. A small city of 60,000 people, local people say Zushi is united both in anger over the government’s broken promise and out of concern for the environment, noting that various opinion polls conducted by citizens’ groups and other organizations consistently show a majority of residents oppose the construction. Zushi Mayor Kazuyoshi Nagashima has, since last year, repeatedly asked that the construction plan be discarded, arguing the central government made no distinction between the Yokohama and Zushi portions of Ikego when the 1994 promise was made. Realizing the national government is going to push ahead with the plan — it has no legal obligation to gain municipal consent in building facilities in an area overseen by the U.S. military — Nagashima is preparing to file a lawsuit. He has set Monday as the deadline for the national government to drop the plan. “We won’t give in because this is a fight to protect both democracy and the environment,” he said. The earlier housing project affected roughly 28 percent of the entire Ikego forest area, and it is not yet known how much more of the forest will be affected by construction of the new housing units. But opponents say environmental concerns this time carry greater weight. Ikego is home to scores of rare birds and animals, including the protected sea eagle, and is a vital green belt bridging the forests in the northern and southern parts of the Miura Peninsula, according to ecologists. 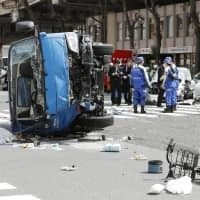 “The damage will be greater because the Yokohama part of Ikego is the thicker forest area,” said Yasoi Yasuda, a professor of environmental policy and economics at Kanto-gakuin University. He said the existing housing complex in the Zushi part of Ikego didn’t pose that large of a threat to Ikego’s unique ecosystem because it was built on level ground, unlike the planned new units that would be built on ecologically more important steep land.